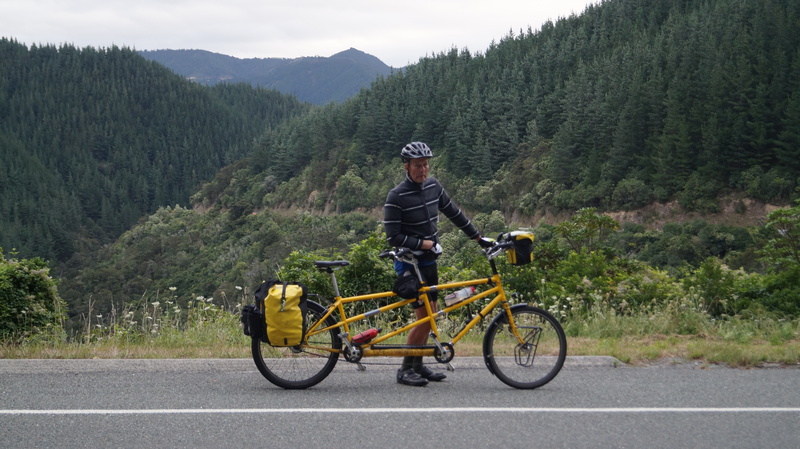 Week Four of the #TandemTA tour of New Zealand begins in the South Island with 110km from Picton to Nelson. 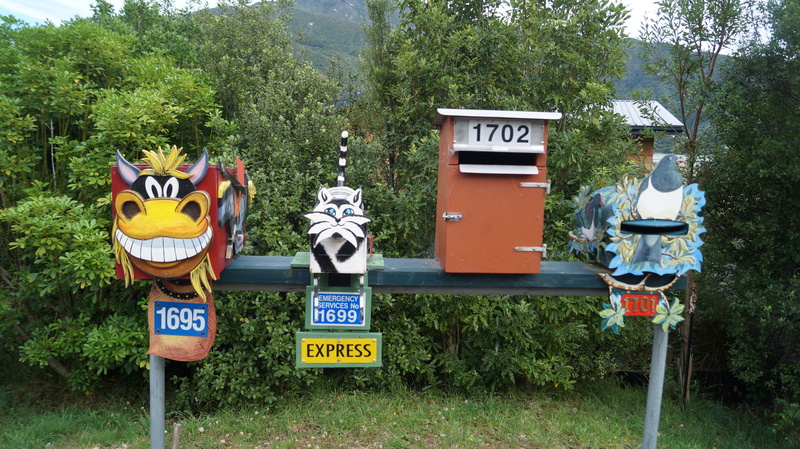 The Kiwis love their post boxes. What a view! 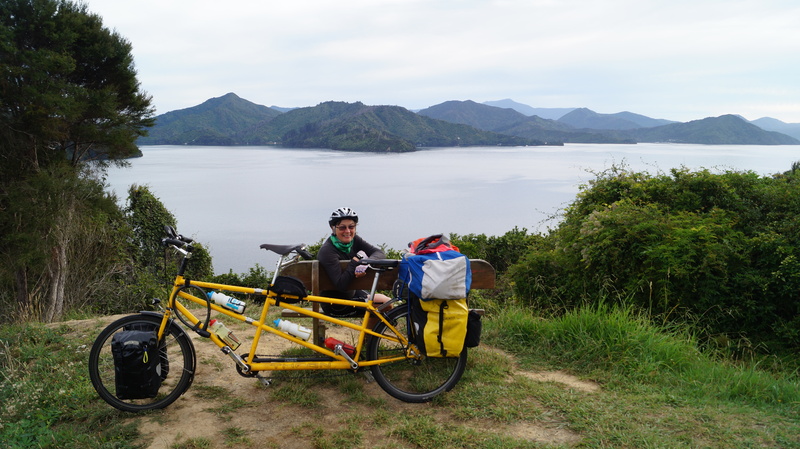 Certainly beats Swindon, whence Lesley and Andy Pincombe moved nearly a decade ago to here overlooking Queen Charlotte Sound just West of Picton in NZ. 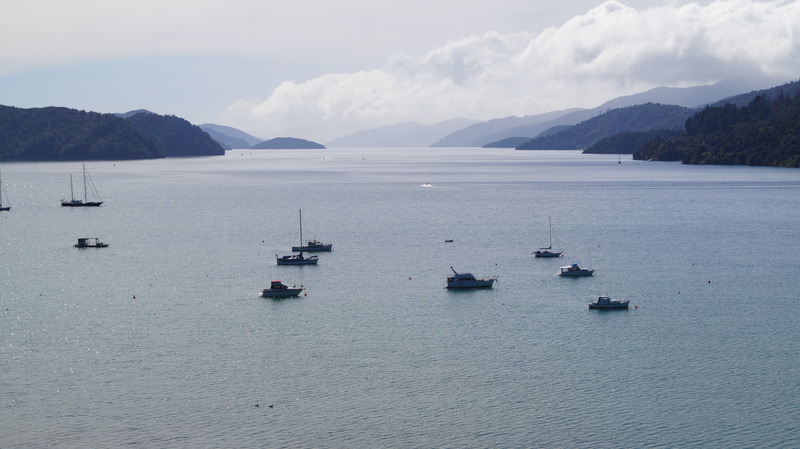 Queen Charlotte Sound, looking north-east towards Picton. General Havelock, one of Queen Victoria’s most successful colonialists, left his name scattered all over the Empire, including NZ and our own home road in Sheringham. 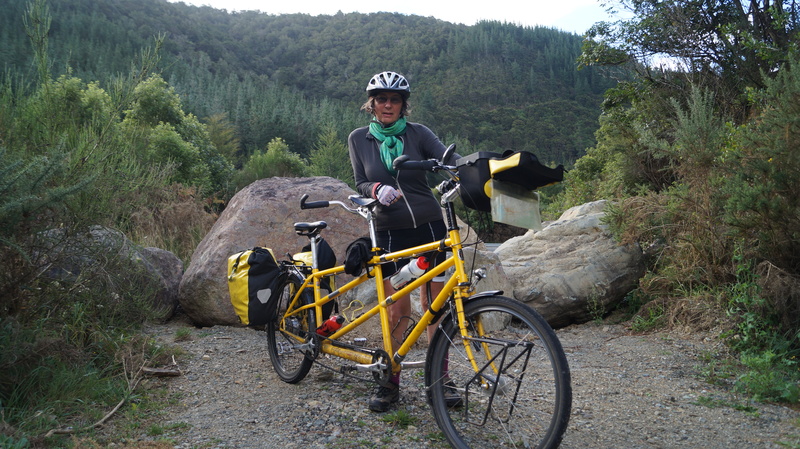 Negotiating Daisy over rocks onto a wonderful abandoned road through the forests into Nelson. 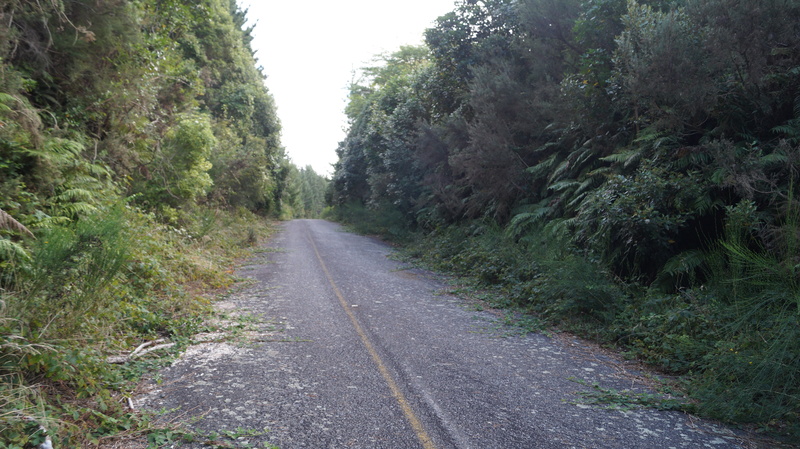 The old, abandoned road through the mountains from Picton to Nelson – quite the most delightful late-afternoon ride. One high and cold road. 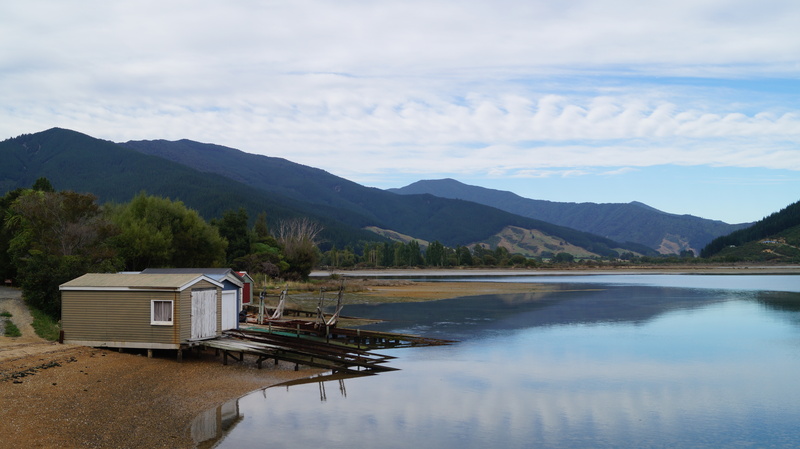 Starting into week four of our ‪#‎TandemTA‬ tour of New Zealand, the South Island has immediately thrilled with stunning views of Queen Charlotte Sound, and of the mountains from Picton to Nelson where we’ve landed brilliantly with some Warmshowers Kiwi colleagues, veterans of their own recent seven-month bike tour through Turkey, the Balkans and Western Europe. A cool (literally, as the evening turned mighty chilly) 110km today. 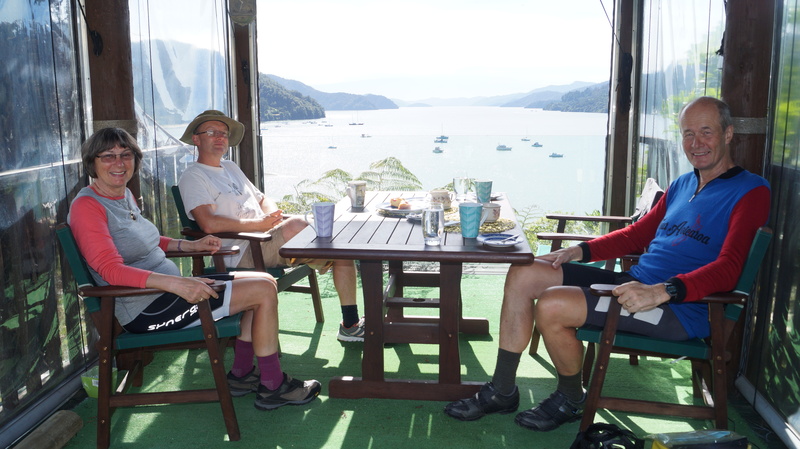 We started early from an overnight at the Top10 holiday park in the ferry port of Picton, through Anakiwa where we called on friends Lesley and Andy Pincombe with what has to be the most brilliant view of anyone we know from their front-or-house gazebo. All illustrated in the attached pix, and then it was on to Havelock (yes, we live in Havelock Rd in Sheringham!) 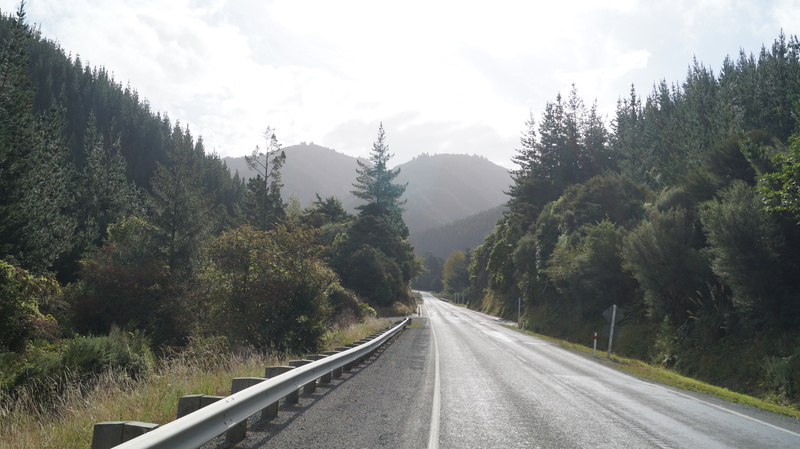 and up the Rai valley and a couple of mega-climbs easily mastered by now over to the West and the coast north of Nelson. 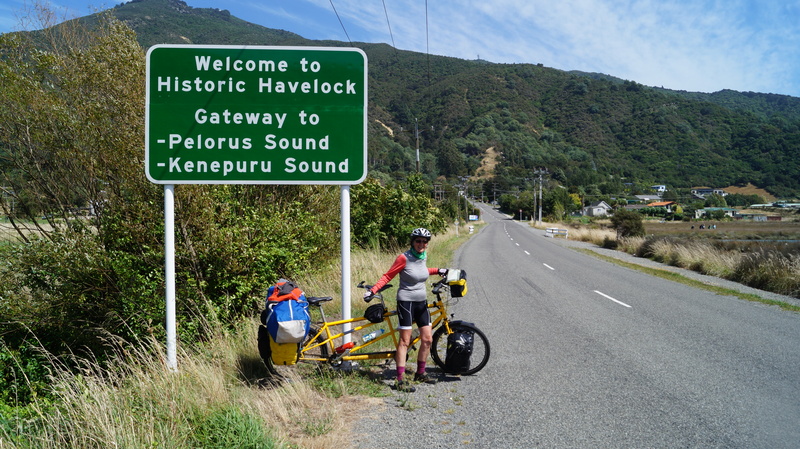 Katie Brayne and Carmela Snooks are hot on our heels on their Tour Aotearoa, and after seven days on the road already south of Matamata which Jutta and I took nearly two weeks to reach. Well done girls! Also, we remain a fair way short of our ambitious, perhaps overly so, target of £3000 for the Rory Peck Trust, so feel free to share our appeal for sponsorship with anyone who might be tempted to chip in.